I told my mom I'd be an artist one day. 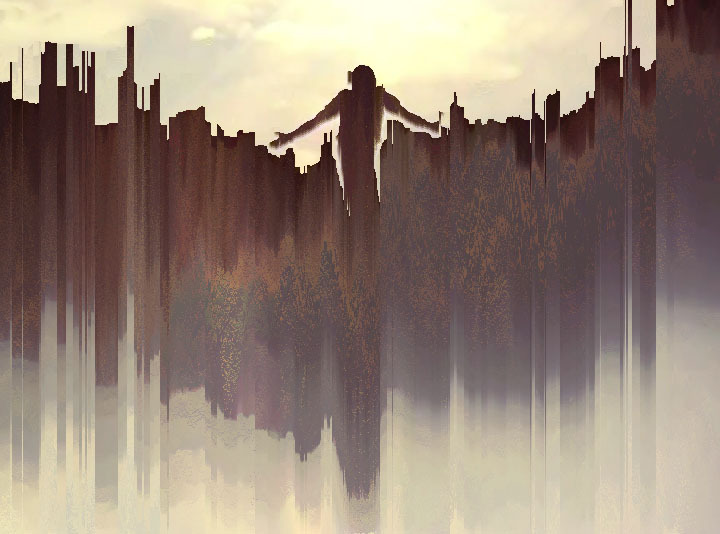 On this page I'll go over how to make your own glitch art but if you don't want to read feel free to enjoy what I've made. Glitches have always bothered me. Watching a VHS while dirt caused the reader to misread and distort the image on screen bothered me. With all the things I hate, I had to dissect it and figure out why. A glitch simply defined is a sudden and often temporary malfunction in equipment. The important part of this is temporary. When editing the glitch we add needs to only be temporary and not break the code of the image, video, or sound we are working with. Simple put open an image with a text editor program and copy, delete, or create code. Just type something. Save and reopen in an image viewer program. See what you did. Jpegs, cr2s, gifs, pngs, psds, and all photo files have similar structures. 'How to read the file' being the top tenth-ish of the file. The bottom parts are editable. Below are some simple edits I've done. The text editor allows us to view the raw code for an image but I know what you're thinking. Other programs can look at data the same way. Audacity is a sound editor that allows us to import source data and interpret it as sound. Using their sound filters we get crazy effects. This is the turning point of glitch art into a true art form. It's done though multigenerational code, meaning it runs multiple times. Through Processing, you can either write a code that finds light and/or dark pixels and duplicates them until it hits what you define as a stopping point or you can thank Kim Asendorf. He has become prolific from his pixel sorting art. He takes it to the next level of photo comps, through clean edits and interesting perspectives. 90's video games were their own monsters that introduced polygonal art and that brought it's own set of glitches. We've recently seen an influx of polygonal art. 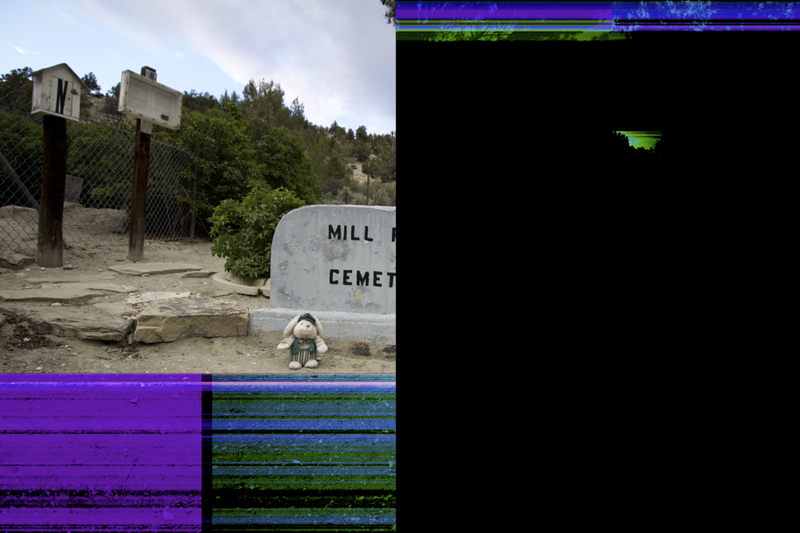 I think this is helped by glitch art because of jpeg artifacts creating their own shapes when made. Videos are sick. And get even better when you make them sick. There are two ways to do data moshing. Either p-frame removal or p-frame duplication. Mpegs and most video compressors save videos into i and p-frames. One tracking motion and the other trying to eliminate as much information as possible to keep the file small. P-frames track motion. Duplicating them causes pixels to keep going like the gif on the right. P-frame removal can cause seamless transitions that are unpredictable.